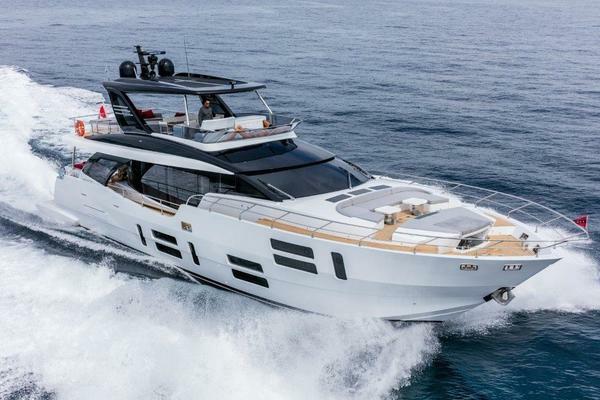 The 72 Hatteras Motor Yacht "Endless Summer" features traditional exterior lines with subtle contemporary styling cues for an overall effect that fits into today's marketplace while easily standing the test of time. 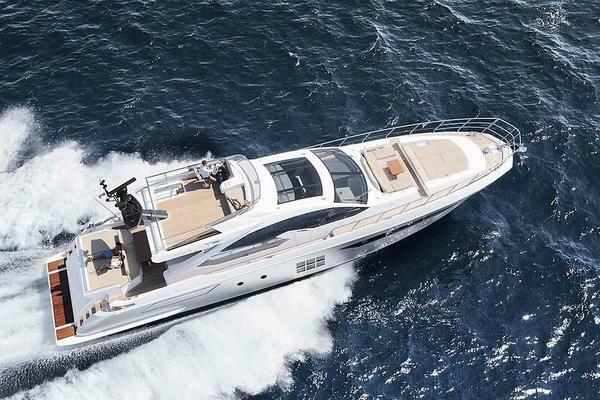 This unique model features a wider salon than comparable motor yachts on the market, yet it still retains side-deck access that makes the 72 Motor Yacht perfect for the owner/operator. Down below, Endless Summer boasts a full-beam master stateroom with the his-and-hers head option, along with two luxurious guest rooms - and a custom built study. A clever aft arrangement can be used as either a crew area or as a fourth guest room, creating a truly unique vessel in its size range. Endless Summer features a resin-infused hull, rather than one built up of layers of hand-laid fiberglass. The automated resin-infusion process produces a more uniform hull thickness from one hull to the next, as well as the most ideal glass-to-resin ratio. This one-two punch produces a boat that weighs significantly less because of the lowered resin content, while providing a more precise fit of bulkheads, stringers and other components for increased strength and durability. In the salon, a large settee with chaise lounge offers storage and seating, along with a comfortable view of the 42-inch plasma TV, which is perfectly angled toward the sofa. A formal dining table to port seats six comfortably. One step up to the galley, features a day head to starboard. Forward of the galley, you will find a large, country kitchen-style dinette with stone countertop for casual dining. For easy access to and from the boat, the Endless Summer provides port and starboard access doors on either side of the galley.